This salad looks amazing. I can finish the whole plate. 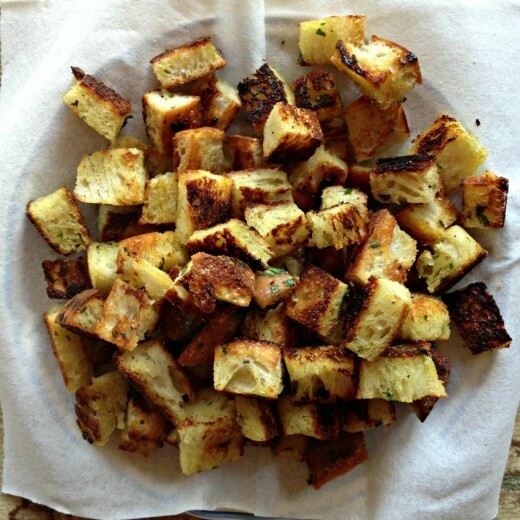 I’ve made quite a few panzanellas in my day also but have never made croutons on the stovetop! That is definitely a must for this summer. I can’t wait to try this version of bread salad. It’s one of my favorite meals in the summer. I have the same problem with croutons and have to make a double supply. 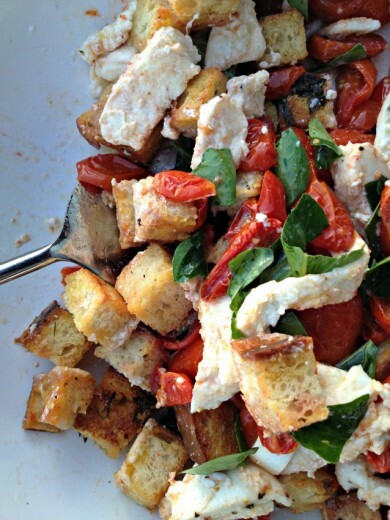 I’ve made panzanella before but never with croutons – just stale sourdough. It’s been delicious but I can see how this would be SO MUCH BETTER! I love homemade croutons – it’s how my mom made them growing up and we’d toss them in soups and salads and I’d always snag a few at the stove. So making this! I LOVE panzanella. A salad that is mainly bread? That’s my kind of scam. And you’re right. There ain’t nothing like a skillet crouton. They are the best. Dana, I love panzanella salad, and I agree—no bad ones out there. I kind of cheat when I make panzanella salad. We take thick slices of ciabatta bread, brush them with olive oil, and grill both sides on our outdoor grill. 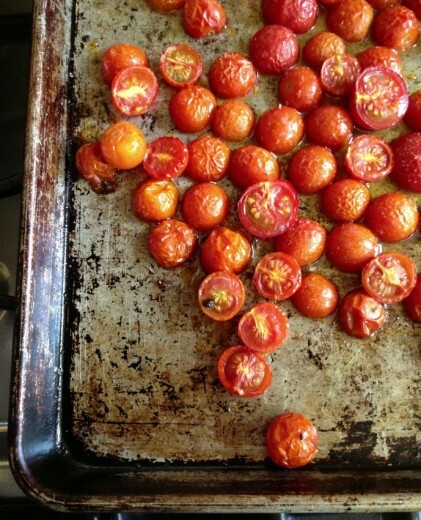 We also grill onions, and cherry tomatoes, and sometimes grill peppers too, to add to the salad. As soon as everything comes off the grill we rub garlic on the bread, and cut it up into bite sized pieces. (and the veggies too) We dump it into the serving bowl, and add hunks of goat cheese so it gets all melty. Yum. My first visit here and I’m so excited to find this recipe. 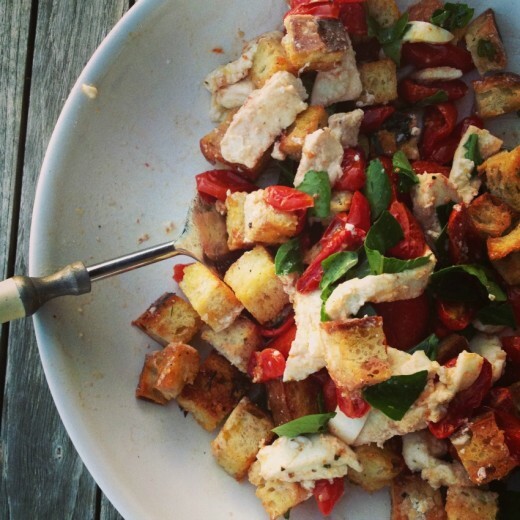 I LOVE Panzanella salad, but have never made it. All the recipes I seem to find have cucumber as am important part. Neither my husband or I like cucumber, which is probably odd. I actually thought it was a requirement, like it wouldn’t be Panzanella without cucumber. Anyway, I’m definitely going to try this recipe. Thanks so much! Oh and btw, I’m much older, but also look so much better in really short hair. Love yours! I am both, sweet and savory ;) Never made this salad before and it would be a meal for me. Nothing beats homemade croutons.